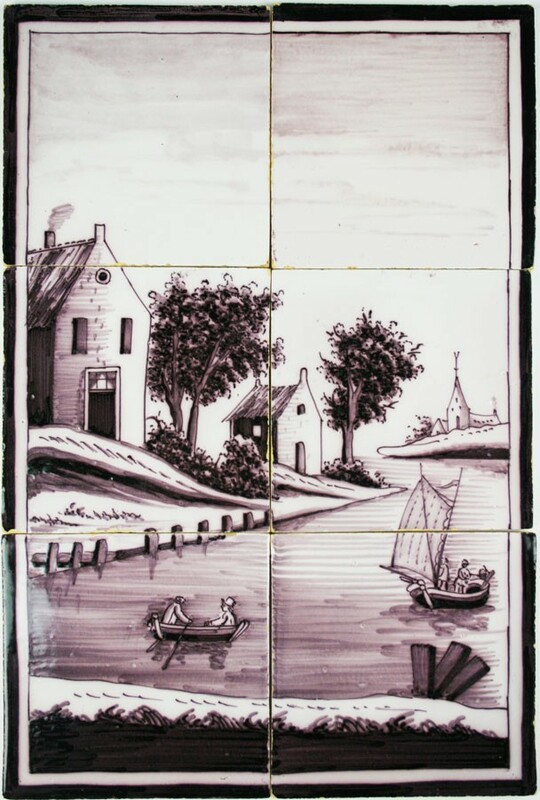 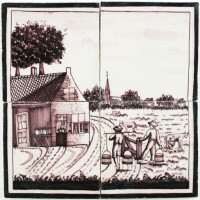 Beautiful manganese landscape tile mural on six Dutch Delft tiles depicting a canal, boats and a village. The mural was made between 1820 and 1850. 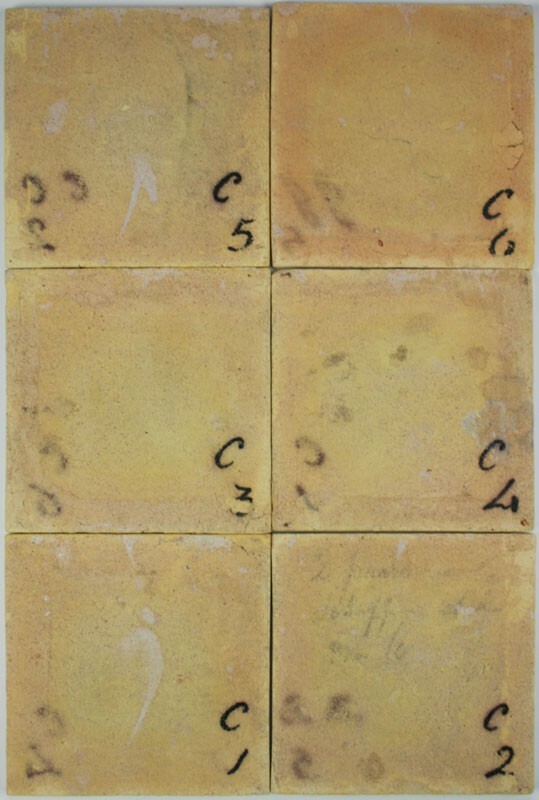 It is in a great unrestored condition. 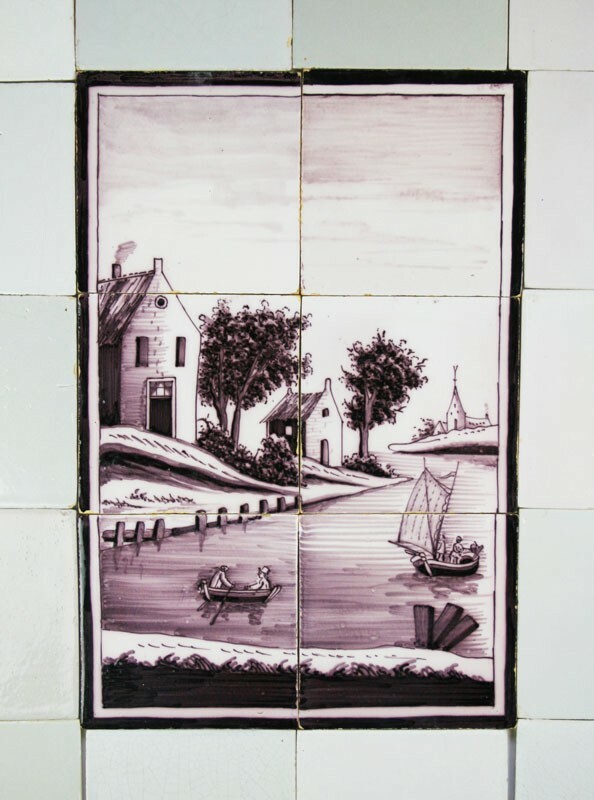 One of the photos shows the mural in combination with white antique wall tiles.